Which mistake will I repeat? OK, well anybody who’s been coming to this site regularly over the last handful of years knows that if there’s one thing predictable, it’s that my predictions are, um, let’s say not good. Pretty much every season, I pick a winner and they’re gone within the first two or three episodes. Heck, last season I finally did better and picked JP. He lasted till the jury. Of course, one could argue he was actually never on the show and he, in actuality, represents my worst pick yet. I can’t argue with that. Sadly. And, remember, last season I chose JP. Such is life. So why read a preview that I write? Well, it’s fun, right? Here’s how we do this around these parts: I separate players into four categories: likely, possible, unlikely and impossible. And, again, If I put a castaway into the impossible category, it doesn’t necessarily mean I think they won’t go far, just that I think they have no shot in hell of winning. Make sense? And, also, let me explain how I make my predictions – which, come to think of it, might explain why I’m so bad at, um, predictions: These are all based only on the bios released by CBS. I don’t read anything else, literally. And, as I’m typing this, I haven’t even seen one of the Ghost Island commercials yet. I’m an ignorant boy, so my initial assessment of someone could be so very wrong. Of course, it could also be so very right. Anyway, let’s do this. Without further ado, here’s my definitely awful predictions for Survivor: Ghost Island. Laurel: I mean, this is how Laurel describes herself: “I'm a former college athlete, an Ivy League graduate, and I know the game better than anyone else out there.” How can anyone not think she’s likely to win? I’ve got a good feeling about her. The entire bio displays traits that I think make a great Survivor player. And she wants to play like Todd. There’s nothing not to love here. Stephanie G.: I liked this bio a lot. I mean, I hesitate to think anybody who says they want to play like Tony is a good pick because, as we all know, there’s only one Tony. But, Stephanie is a little older – at 26! – than most of these contestants and seems like a super hard worker. That makes me think this could be good for her. We’ll see. James: This bio shows a dude who’s accomplished a ton in a relatively short amount of time. A college athlete at Harvard and a Presidential Scholar? This dude is super smart and athletic. He also must work really hard. How can you not love James? He’s also a first-generation American who wants to bring a flag to the island and emulate Yul. I have high hopes for James. Kellyn: Producers don’t give castaways toothbrushes, right? Why would you want Skittles every day on the island, then? You’re going to get cavities. In general, I should be rooting for Kellyn since she lives up the road from me in Denver. But I can’t root for someone whose name I can’t say. Should Kellyn be pronounced like Kellen? Kelly Ann? Kelly-n? I’m at a loss. I have no idea. And I don’t want to sound dumb, so we’ll put Kelly-n down here. In general, I think her bio reads pretty well – besides the Skittles – and she seems adaptable, which is key in this game. Wendell: There’s not much to Wendell’s bio. I mean, I like that he’s thinking of others when he says he wants a brush for his beautiful beard and ’fro. But, really, I like that his bio is short and sweet, with nothing in it at all that says he could be pretentious or argumentative or anything that would stick out. I’ve got a good feeling about Wendell. My only question is whether he’ll be too old to get into a solid alliance. Jacob: I was really loving Jacob’s bio until I found out he loved 1990s Robin Williams. I have nightmares about 1990s Robin Williams, god rest his soul. I mean, I don’t trust any human being that liked Patch Adams. You might as well tell me you liked Stalin or something. But, with that said and expressed, I have a good feeling about Jacob. Seems like the kind of dude who could make some moves on the periphery, not upset people, work hard and really start making Big Moves™ when needed. Because a stagnant bio tells me nothing about his athleticism, let’s just say I have high hopes, but maybe not Winner Pick™ hopes. Morgan: You know, I’ve seen the documentary, so I’m not supposed to like anyone who works at SeaWorld, much less always dreamed of working there. But I’m going to put my biases aside for a second: Morgan looks like a really strong contender. She’s a superfan who’s not too old, but not too young (29). Her job is obviously outside and physical. She’s a former Division I athlete. In general, I like her drive. The only question is can she navigate around all the people younger than her? Will she be ostracized for being old? Jenna: OK, should we count the reasons I’m not a fan of Jenna? Let’s start with her saying, “I have been able to manifest anything and everything I've ever wanted in my life.” What does that even mean? And whenever you preface something by saying, “Not to brag,” well, let me tell you, you’re bragging. She has dreams inspired by “all the unique creatures” on the planet. Oh, and her pet peeve are people who say poop. I love to say poop. Damn you, Jenna. Seriously, though, she seems like a nice person in real life, but, in her bio, she’s trying way too hard to sound good and those kind of people, who try to cultivate an identity, well, that doesn’t work on Survivor. Stephanie J: OK, I admit it, I’m always a little biased against bios that display even a hint of hippie-ness. I can’t remember any hippie doing well on this game. I mean, unless you count Rupert and his magnificent tie-dyed shirts. He should have won the game 17 times by now, but people just don’t do what they’re supposed to. But, yeah, back to Stephanie J: Her mention of her favorite gem type, being a wanderlust and an ashram automatically make think she can’t win. In real life, these are fine, of course, but I always wonder if people like this can make moves that aren’t obvious, play under the radar and ditch people when they need to ditch people. We’ll see. 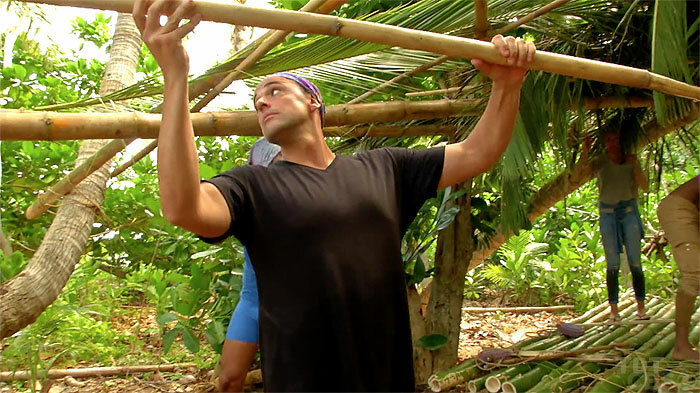 Chris: I want to like Chris as a castaway more than I do. The part that makes me apprehensive? Besides the Versace billboard? Well, when someone says they’re good at “giving it back” to people and they mean they know how to argue and put people in their place? That’s not a good characteristic for this game. He may get pretty far, but I don’t think he wins. Sebastian: How can this guy not say he’s most like Ozzy? Everything about him screams Ozzy. His pet peeve is hilarious. He says it’s “when someone calls you but you miss their call by like a second, so you call them right back but then they don't pick up, and then you call them three more times in a row and they still don't pick up.” Does this happen to people? I honestly can’t think of this ever happening to me. Also, he loves Bob Marley. That disqualifies him for me. Sorry. Brendan: I think Brendan is the kind of character I root for most besides the Fishbach types. I mean, I absolutely loved Tom Westman and this guy screams Tom Westman. But, again, in most seasons all his traits would be great ones, but can a phys-ed teacher and father who’s accomplished a ton, is very athletic and a clear hardworker really win a season where it seems like everyone was in diapers when Survivor premiered? This is my question for a handful of castaways, as you can see. I’m higher on Brendan than others like him because I think he could make himself indispensable around camp and maybe bond with some of the younger athletes. Chelsea: Every season needs to have a young, attractive female who thinks they are most like Parvati. I mean, usually there are like 10 of these people. There’s absolutely nothing that stands out as bad for Chelsea. But there’s absolutely nothing that stands out at all. She’s kind of a cliché of a castaway. I see her lasting a while, not getting that much screen time and ending up one of the first two or three jury members. It just feels like we’ve seen this person dozens of times already. Libby: Let’s be clear, this is nothing against Libby exactly, but I just can’t, in good conscience, rate someone whose inspiration in life Elisabeth Hasselbeck very high. I just can’t. It’s not in my DNA. I wouldn’t be able to live with myself. I wouldn’t be able to sleep at night. Do you want that? I don’t want that. Domenick: First, I always have an aversion to anybody who has a very traditional name spelled differently. So, you know, any Patric will never get my vote. 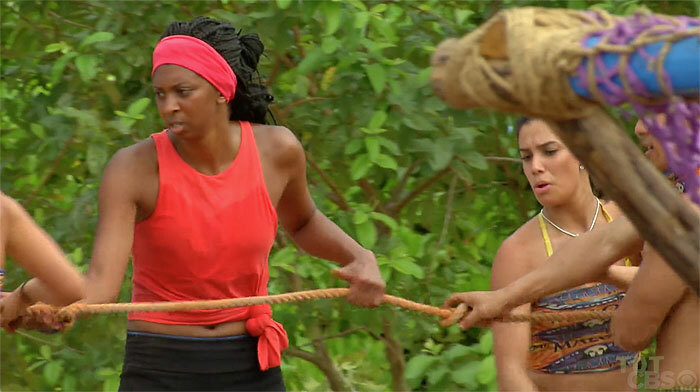 But the odd spelling of Domenick would only immediately remove him from the Likely category. What puts him down here? When you call yourself calculated, have what looks like an inferiority complex, talk about “men being men” and “ladies being ladies” … well, I don’t think you’re cut out for a reality show in 2018 that features mostly folks younger than you. I just get the feeling this is a dude who won’t compromise and, um, won’t play well with others. Donathan: Speaking of names, let’s take a moment to talk about Donathan. First, he wants to change people’s perceptions about a community through dancing. I’m not sure that’s possible, bud. Second, he says, “Now darlin', I ain't no lumberjack.” Um, OK. Do lumberjacks usually come from Kentucky? I mean, I know there are stereotypes of folks from Kentucky, but I don’t think they involve lumberjacks, right? 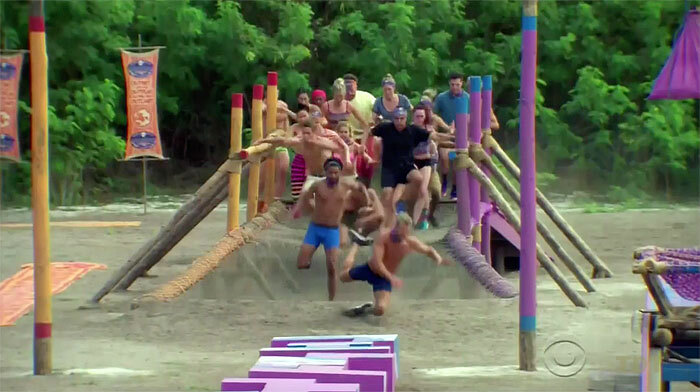 This dude’s got too many pet peeves – and really specific ones – to win a game of Survivor. It ain’t happening. Bradley: It’s obviously not fair to judge people by these bios, but that’s what reality TV is about, right? So let’s go: He’s a law student who’s most proud of getting into law school. He says this is because he’s at one of the best in the country. Some research tells us UCLA is No. 15. That’s really good, but it’s not Yale or anything. That means he seems really conceited and also probably wishes he was at Harvard. That’s an inferiority complex. His photo tells us he tries really hard to be trendy. His hobbies list sailing, which means he probably grew up relatively wealthy. When asked about his heroes, he says he doesn’t believe in worshipping or emulating others. So, yeah, that whole conceited thing again. This is a dude that’s going to piss people off and think he knows more than he does. Oh, and, man, this dude is going to hate James because, on paper, he’s better at everything. Angela: I want to love Angela. And in a normal season, I probably would. But we’re talking about a 42-year-old mother who spent 21 years in the Army. Is there any way in hell that she does well on a season filled with 22-year-old folks or people like Bradley? Nope. I feel bad for her. She’s going to be the castaway we all think gets a raw deal because a bunch of young folks don’t want to be around someone who thinks effort is a good thing. We see this person every year, but they’re usually older. Michael: I mean, he’s 18. Nuff said. So where does that leave us? Who’s my Winner Pick™? Who am I going to give the kiss of death? I got to tell you, I’m struggling between Laurel and James. The way James mentioned Yul – who I personally think is one of the best players ever – makes me want to pick him, but I’m going with Laurel. Sorry Laurel. I don’t mean anything personal by it. OK, everyone, I’m excited to write about theory for another season. Let’s hope it’s a good one. I’m a little optimistic with this theme, actually. Let’s talk in a few weeks.